If you’re a fan of coffee and comics, have I got the place for you! 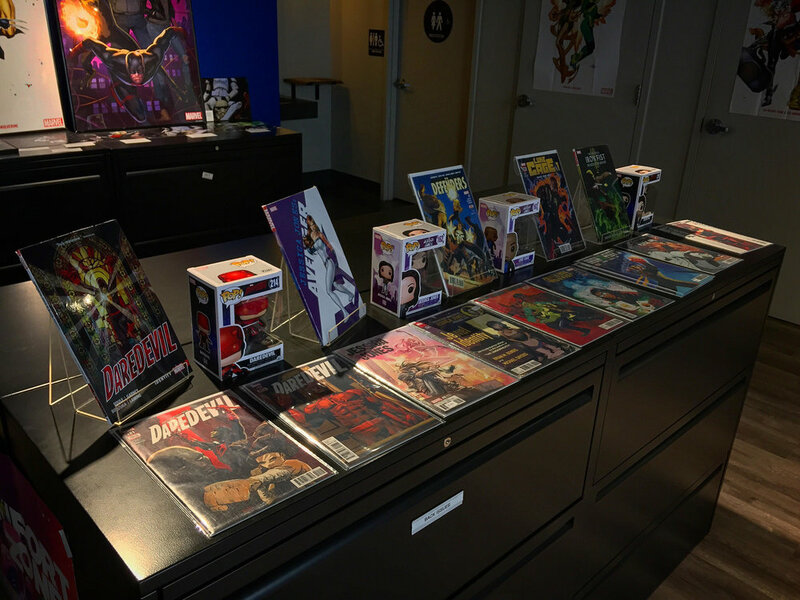 Oblivion Comics and Coffee is one of the newest and most innovative coffee shops in Sacramento’s ever-growing coffee scene, and is located downtown on 11th St. between J and K Street. 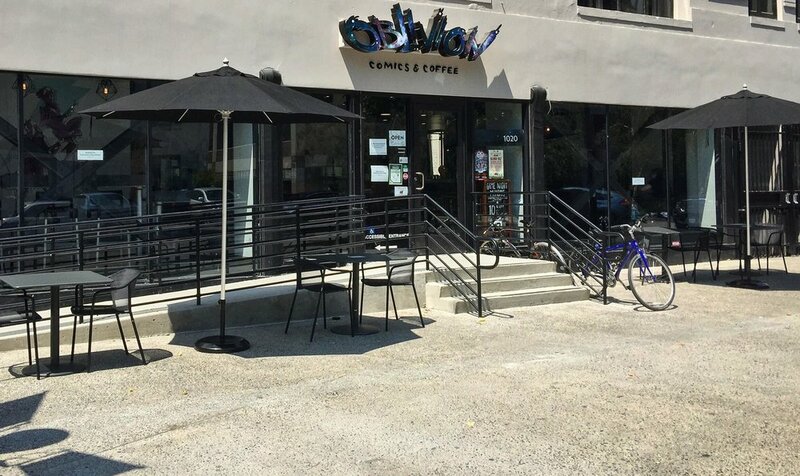 Inspired by the Oblivion Bar, where DC Comics heroes and villains could gather together for a pint, Oblivion Comics and Coffee is a place where comic geeks, coffee snobs and anyone else can come to gather. 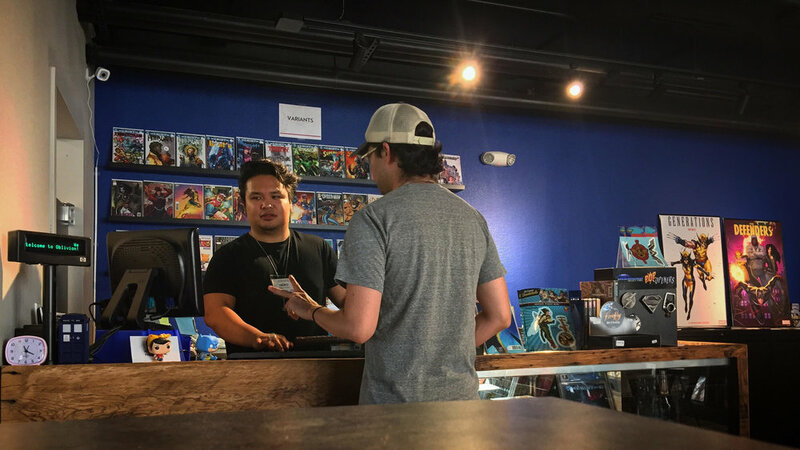 When you first walk in, you may think it’s just a coffee shop with some cool comic art in the background, but if you swing around the corner, you may be surprised to find a comic shop in the back of the store, complete with comic books, Japanese manga, anthologies and figurines for sale. Oblivion not only offer friendly service and locally-roasted coffee from Chocolate Fish Coffee Roasters to their customers, they also offer vegan options on their menu, including Sactown’s own Alternative Baking Company cookies. One thing that stands out on Oblivion’s menu is the toast. With four different varieties served on Texas toast, you’ll be sure to find your favorite. One of the best things about Oblivion is that it’s an underrated workspace. The coffee shop area has traditional seating, while comic shop has seating fit for playing board games with friends and both areas are perfect spots to sit down and get some work done or surf the web on their free wi-fi. So if you’re looking to try something new in town, Oblivion is the place to go. It might just be your new favorite coffee shop too.